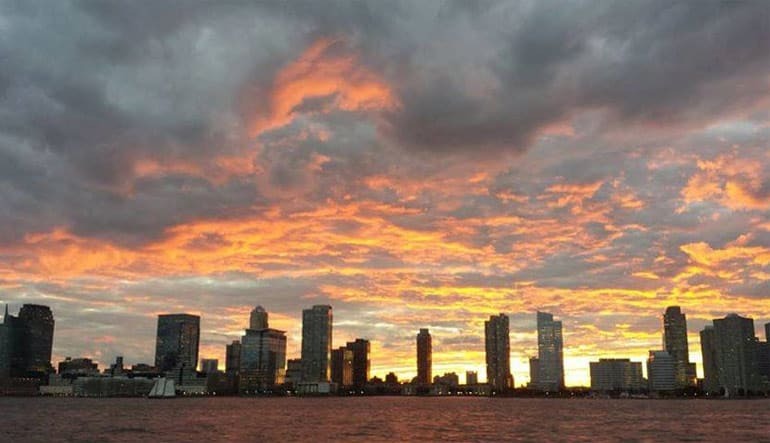 Enjoy stunning skyline views of Manhattan as you bask in the hues of the setting sun aboard a spectacular New York sunset yacht cruise. 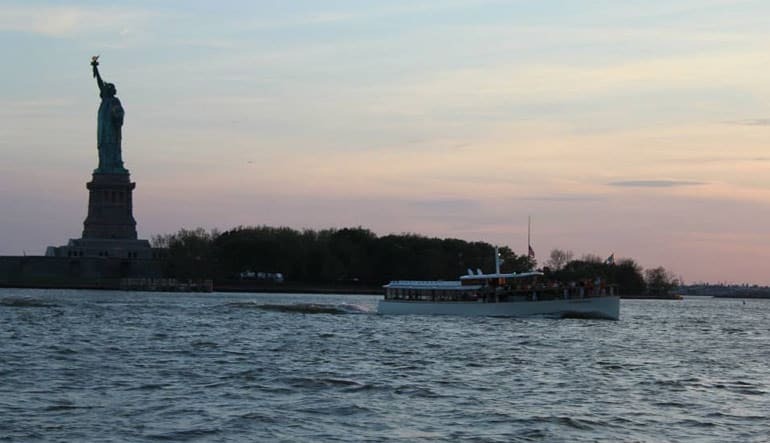 Enjoy stunning skyline views of Manhattan as you bask in the hues of the setting sun aboard a spectacular New York sunset yacht cruise. 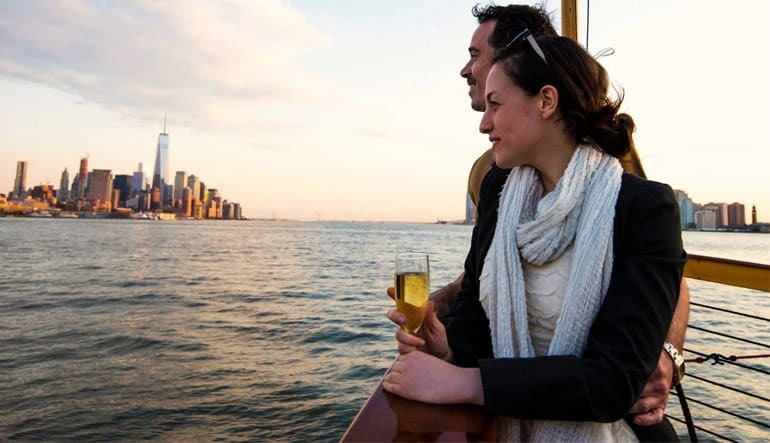 Departing from famous Chelsea Piers themselves, this cruise immediately immerses you in NYC scenery as you make your way down the Hudson River towards New York Bay and the city’s beautiful iconic skyline. 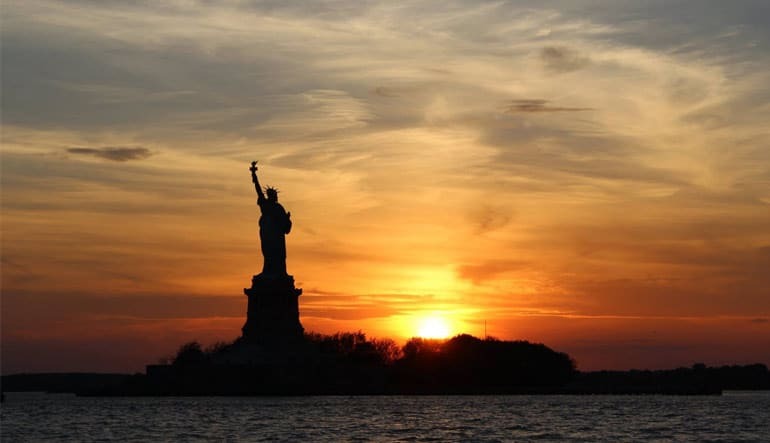 One of the most recognizable skylines in the world, Manhattan is home to many of NYC’s most famous landmarks, such as the Brooklyn Bridge, One World Trade, Ellis Island, and, of course, the crown jewel of the city’s must-see sights, the Statue of Liberty. You’ll be treated to impressive views of all of these and more in brilliant illumination thanks to the setting sun as your captain cruises the bay and shoreline. And you’ll enjoy year-round comfort as you cruise the NYC waters. Modeled after the 1920s luxury yachts of old but incorporating contemporary materials and features, the Manhattan and Manhattan II provide the ultimate combination of modern-day comfort with antique style. These vessels come equipped with climate-controlled, glassed-in observatories on the back decks and ample seating. Whether inside or out, you’re in for spectacular panoramic views of the stunning New York skyline and Lady Liberty at her best! 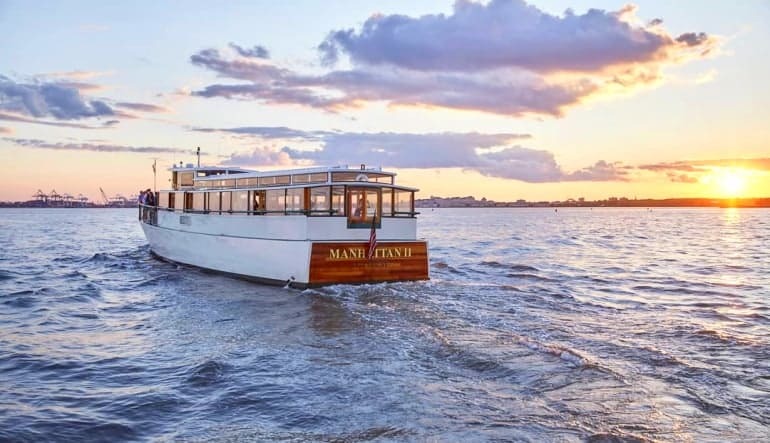 Whether you stand right at the prow or prefer to relax and socialize inside, a sunset voyage around Manhattan is a New York experience not to be missed.